One More Day Foundation was created to help spread awareness and teach about the growing threat to vehicle drivers and passengers. This danger has been present since the inception of the automobile. Tragedy because of this silent killer has been increasing steadily. The silent killer is distracted driving. Cell phones, music players, and even passengers are just some of the few sources of distraction for drivers. A distraction that lasts only 5 seconds is enough for your 4,000 pound vehicle to travel over 100 yards – the length of a football field. A distraction can be anything such as checking a text, finding a new song or radio station, or even looking at a passenger. 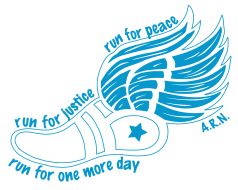 One More Day Foundation 5k Walk/Run is to raise awareness of the effects of Distracted Driving This foundation was created in memory of Alicia Nicholson. A mother of two killed on February 6, 2016, in Cumberland County by a distracted driver that failed to stop at a four way intersection. Alicia leaves behind a husband, and two beautiful daughters, Aailyah 4 years old and Annbelle 2 years old. Her family created this foundation to help prevent any other family from going through a lifetime of pain and children growing up without a mother.